Chestnut Brae Farm is 70 idyllic acres of mature sweet chestnut forests that were planted biodynamically in the 1980’s, mushroom crops, vegetables and heritage animals that are all farmed organically using regenerative agriculture and holistic management. Our sweet chestnut trees (Castanea sativa) produce 12 tonne of chestnuts each Autumn. Chestnut Brae uses grazing animals to help build microbial activity in the soil to increase soil health. 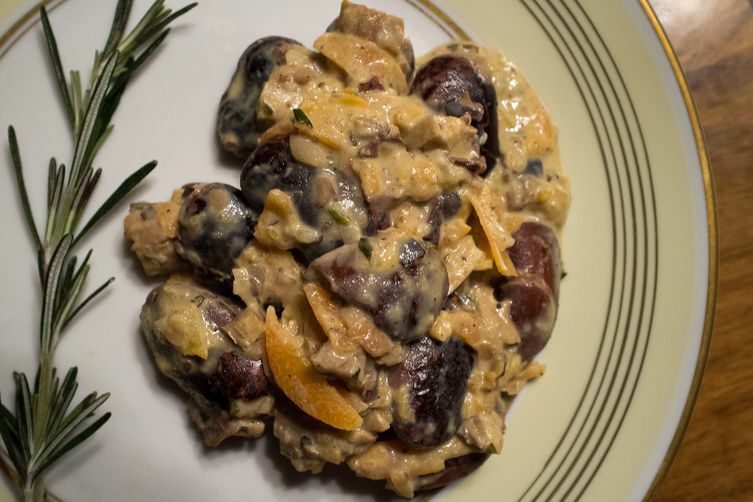 Our pasture raised animals, fed with sweet chestnuts, produce the sweetest flavoured meat you will experience. From the chestnuts we also produce chestnut flour, chestnuts in syrup, peeled frozen chestnuts and a range of other chestnut products. 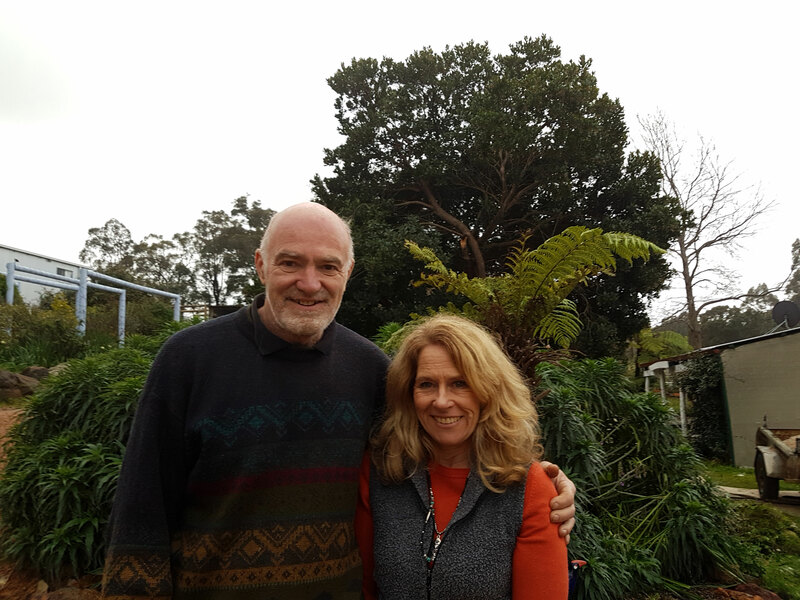 John and Linda Stanley purchased the farm in 2013 with a plan to create a sustainable, self-sufficient farm producing a range of unique chestnut based products using regenerative agriculture. Passionate about healthy food, animals, plants and saving the environment, they restored the heritage rose gardens on the farm and seek heritage animals and heritage varieties of vegetables to grow. 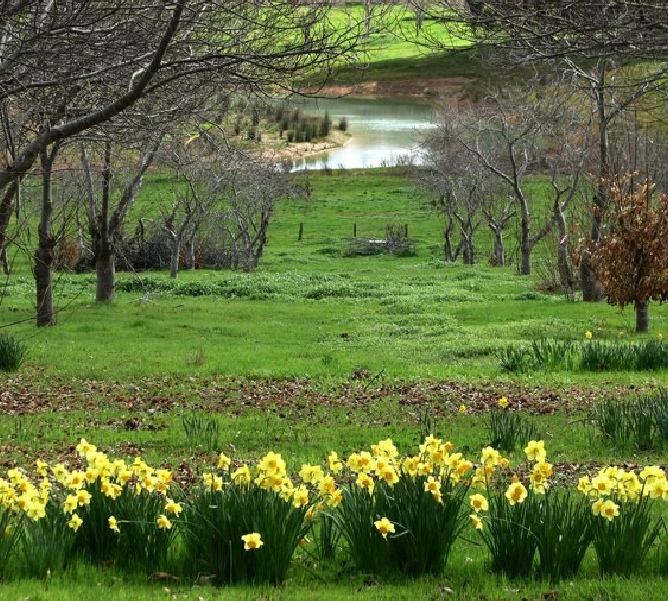 Formerly Chestnut Brae was both a chestnut and daffodil farm, now only the chestnuts are farmed, but the abundant daffodils means it is stunning in Spring when the daffodils are flowering, ablaze with abundance and colour in Autumn, and picturesque in Winter. 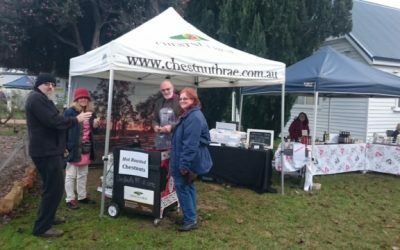 Located on the Blackwood River Valley Farm Trail, Chestnut Brae is just 15 minutes south of Nannup (off Vasse Highway and Chalwell Road) and 55 minutes inland from Margaret River. Chestnut Brae’s rolling hills, pastures and mature chestnut forests give a sense of being in Europe as you arrive at the farm. Free roaming poultry add to the soul satisfying peacefulness. The heritage rose gardens are part of the Organic Garden Trail, The Festival of Country Gardens and the Nannup Flower and Garden Festival. Chestnut Brae produce sweet chestnuts, a range of sweet chestnut products hand made on the farm and chestnut fed pork. Chestnuts are a delicious treat, either roasted or cooked in soups or other recipes, and have considerable nutritional value. Chestnuts are a 5 star food! The Health Star Rating system calculates that chestnuts score 5 stars out of five stars based on their nutritional composition. They are low cholesterol, high in vitamin C, minerals, such as potassium, copper and magnesium, amino acids and antioxidants. 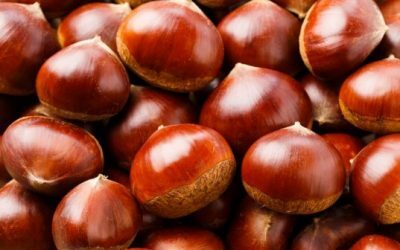 Chestnuts are also low in kidney stone-forming oxalate compounds, with less than 85 mg per 100 g, in comparison to other nuts. The fibre content of chestnuts, 3 g per 100 g, is higher than that of walnuts, with 2.1 g per 100 g, pecans, 2.3 g per 100 g, and pistachios 1.9 g per 100 g but about half that of hazelnuts. 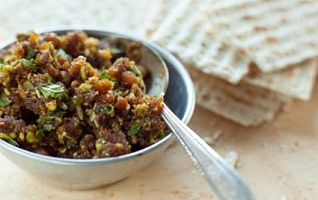 Their fibre content makes them a low Glycaemic index food — one that raises blood sugar slowly. Fresh chestnuts are only available in season – which is April, May and early June. 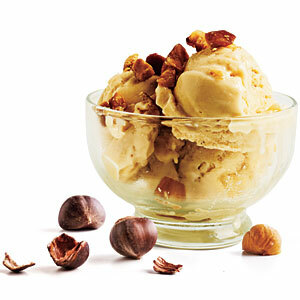 However we have peeled and frozen chestnuts available all year, until sold out. I can’t believe how delicious the Chestnut Brae bacon is, melt in your mouth and nitrate free too! A fully self contained three bedroom cottage, Chestnut Brae Farm Stay is the original farm house which was once a dairy at the time of the group settlement scheme in the 1920’s. Set in the stunning Blackwood River Valley, it’s the perfect destination for a relaxing getaway, or a family holiday. We farm sweet chestnuts, walnuts, pigs, sheep, cattle and mushrooms,chickens, ducks, quail, turkey, guinea fowl and geese and produce sweet chestnuts products and chestnut fed pork, lamb and guinea fowl. Our family stayed at Chestnut Cottage for a weekend with another friend’s family. We had an amazing time fishing for Marron, touring the farm learning about Chestnut’s and just enjoying the peace, tranquility and nature. The kids had an absolute ball collecting the eggs each morning and feeding the Alpaca. We can’t wait to come back again next year. Chestnuts are a versatile nut that can be used in both sweet and savoury recipes with or without its inner skin. Fresh chestnuts, unlike other nuts, are a perishable crop. To avoid chestnuts drying out, store in an airtight container, paper bag or perforated plastic bag in the crisper compartment of the fridge. Low temperatures just above freezing and high humidity are the secrets to long chestnut life. Place a damp paper towel in with them and they should last a couple of weeks. For long-term storage Chestnut Brae ready peeled chestnuts are vacuum sealed and will keep about a year in the freezer. At Chestnut Brae we run Seasonal Food Tours, such as The Chestnut Tour, The Marron Tour, The Fungi Forage Contact us for information. The following are restaurants who hold Chestnut Fed Pork Special Events using Chestnut Brae and Organic Fine Food Company’s unique chestnut fed pork. *by appointment, please call us first to make sure we are here 0409104120.